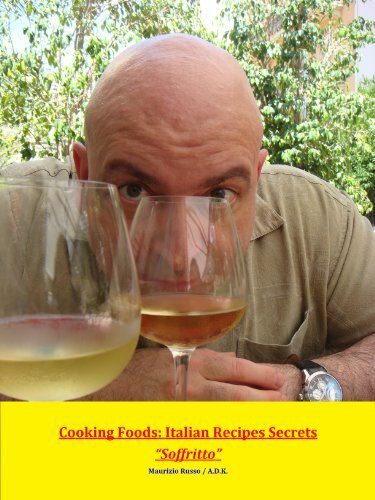 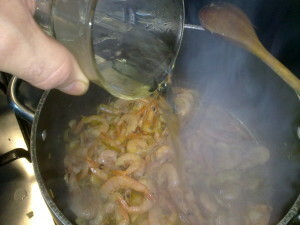 Simple shimps sauce for pasta! 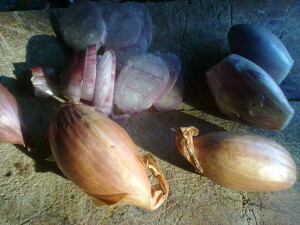 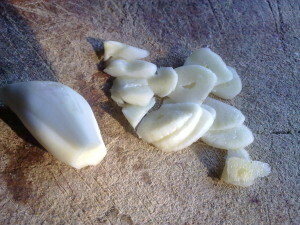 Chop some scallion (or onion). 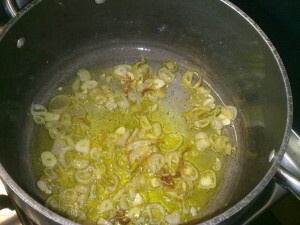 Fry scallion and garlic in two spoons of extra virgin olive oil. 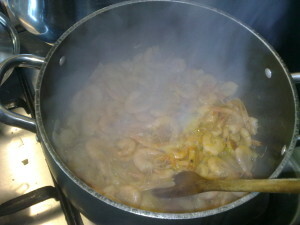 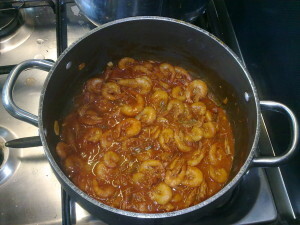 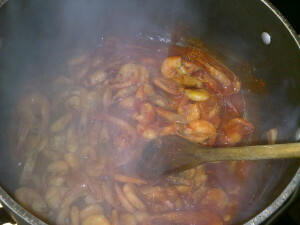 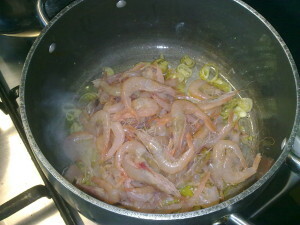 Drop the fresh shrimps in the pot. 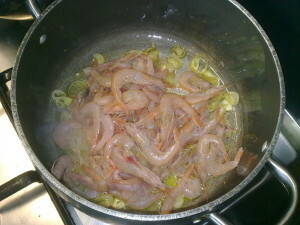 Fry them until the get they hook. 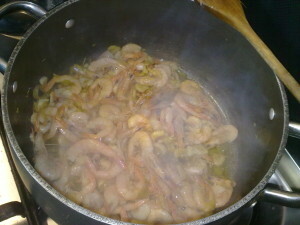 Add half glass of white wine. 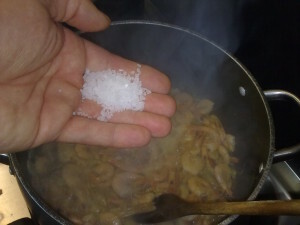 Drop one or two pinches of marine salt. 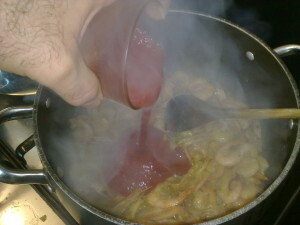 Add one glass of tomato sauce. 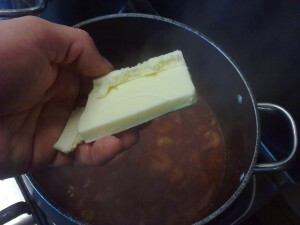 Add 2 ounces of butter (50 grams). 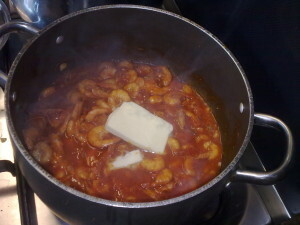 Melt the butter in the sauce. 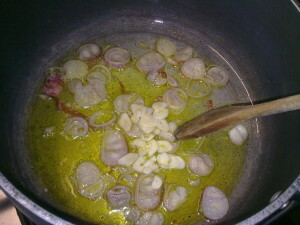 Check if more salt is needed. 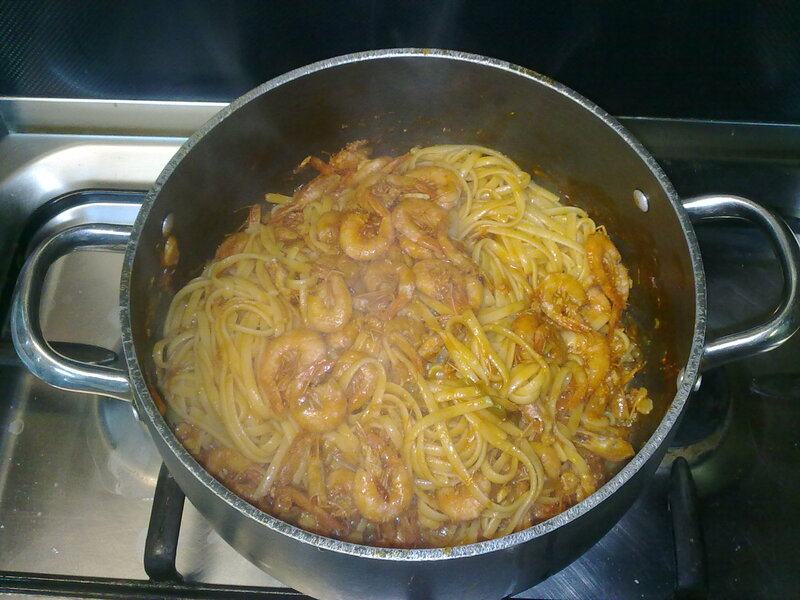 Just drop the (cooked) pasta in to the pot and cook it one or two minutes in the sauce always stirring.